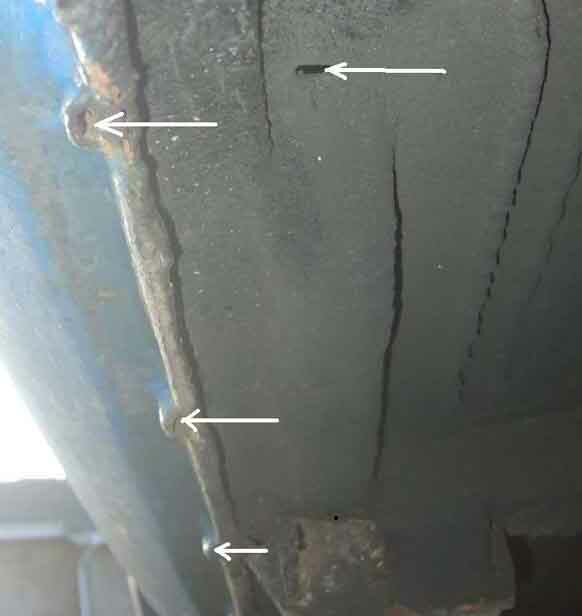 That is how I found mine when I did a part floor replacement i.e. 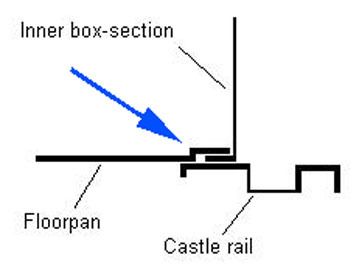 the floor pan was sandwiched between the inner box-section and the castle-rail. 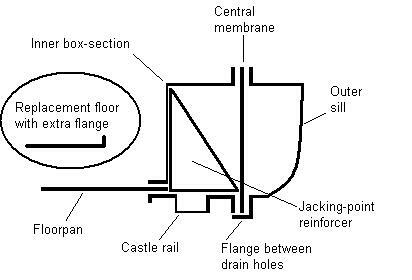 However others have said the floor sits on top of the inner box-section flange, with a joddle in the edge of the floor pan to close up to the face of the castle-rail, which projects beyond the inner box-section flange as shown below. Mine is possibly a function of how various parts had been replaced in the past. 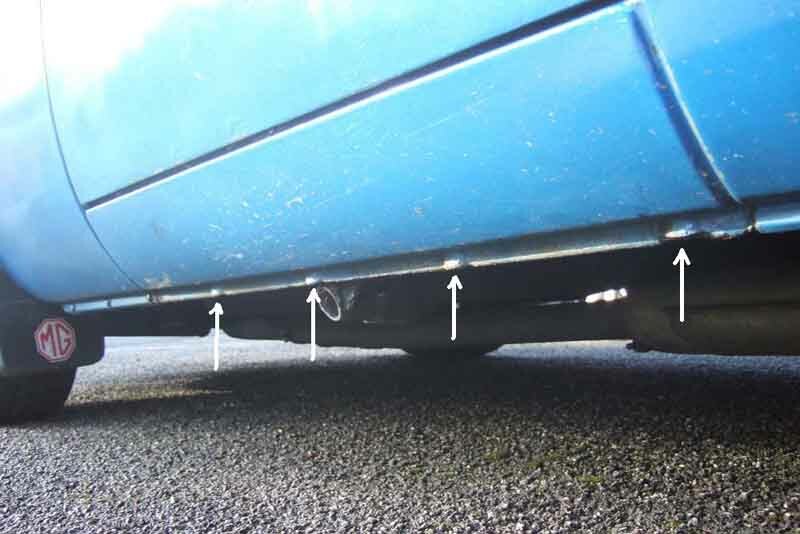 The four drain holes to the outer sill cavity. Nearest the camera are arrowed two of the holes in the front half of the castle section to drain the inner cavity. 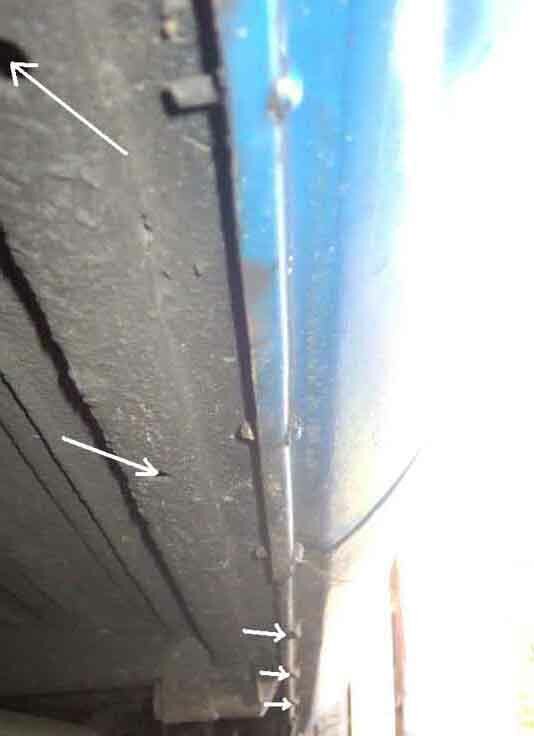 Three of the outer sill drain holes are arrowed furthest from the camera. Three outer sill drain holes arrowed at the left, and on the right one of the drain holes in the rear half of the castle section.